This quick and easy dessert tastes as good as it is good for you! Pour milk and pudding mix into 1-quart bowl. Let pudding set for 5 minutes until thick. Open can of pineapple and drain off all the juice. 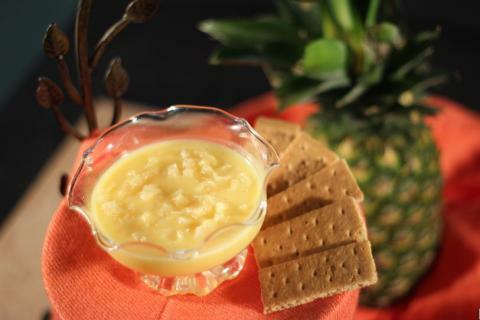 Add pineapple to pudding and stir.